We’re committed to helping our patients enjoy a lifetime of confident smiles and healthy mouths. In addition to always ensuring that you feel welcome and comfortable at every visit, we have also created a range of treatments so you can have complete peace of mind that you can have all treatments all under one roof, from experienced clinicians you know and trust. Our range of services include general dentistry, such as check ups, white and tooth-coloured fillings to repair and protect your teeth, and dental hygiene treatments to help ensure your teeth mouth and gums are clean and healthy. If you require more advanced dentistry treatments, our dentist Mr Pramod Sabharwal has extensive experience providing tooth replacement solutions such as dental implants and dentures. We’re also able to offer the fantastic All on 4 treatment that can replace a whole arch of missing teeth, restoring your confidence and smile. For patients considering teeth straightening, our range of orthodontic options means you are sure to find a solution to help you. Teeth straightening is not just for our teenage patients; many adults are now taking advantage of the new discreet choices that are available to give them the smile they have always wanted. 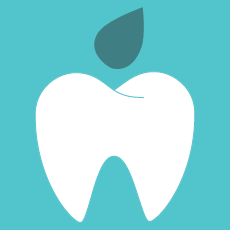 Whether you need help and support following tooth damage or decay, or are considering cosmetic dentistry or a smile makeover, you will find every treatment you and your family are looking for at our friendly, caring practices in Coventry and Kettering. If you would like to speak to a member of the team about our treatments, or discuss becoming a patient at Dental Perfection, please get in touch.